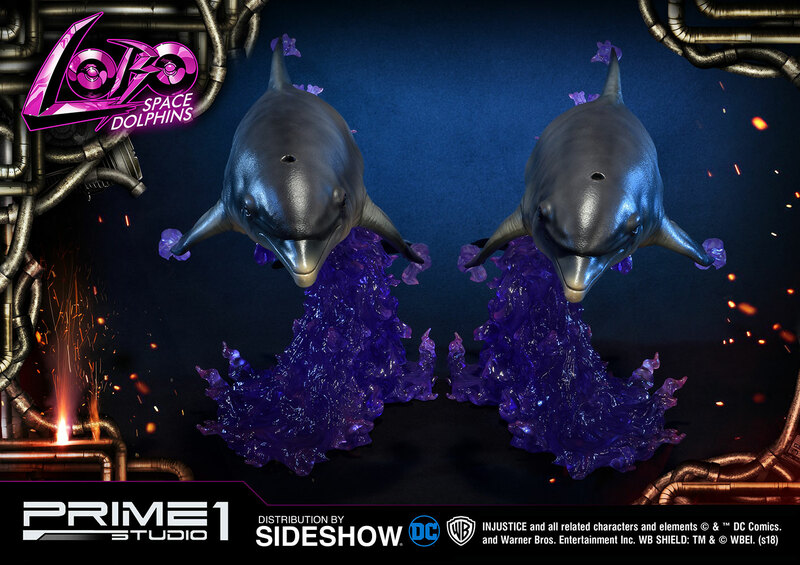 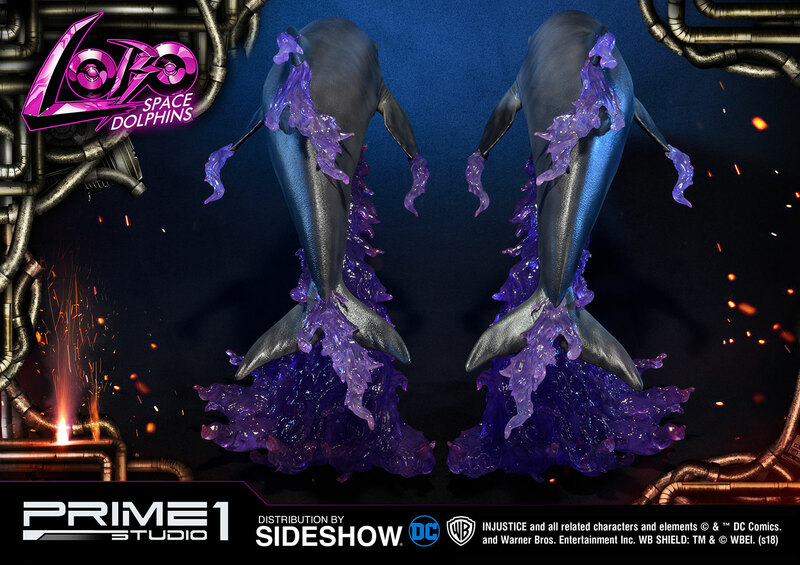 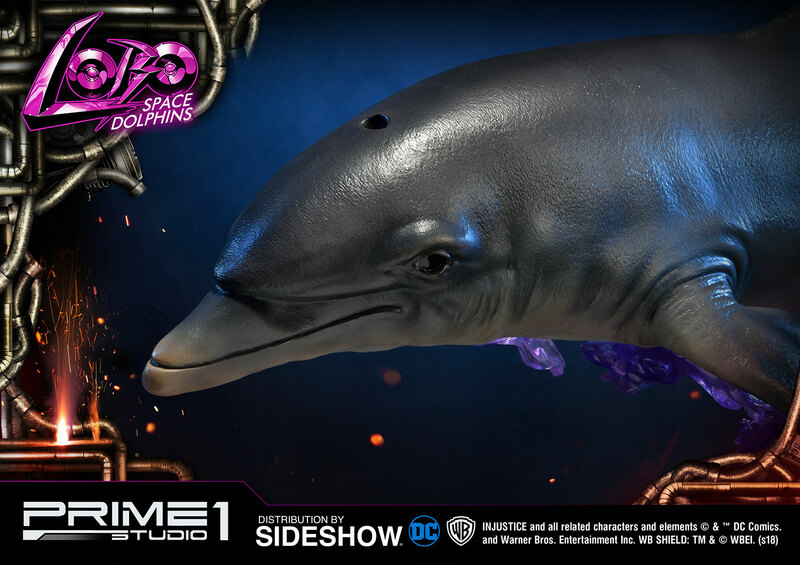 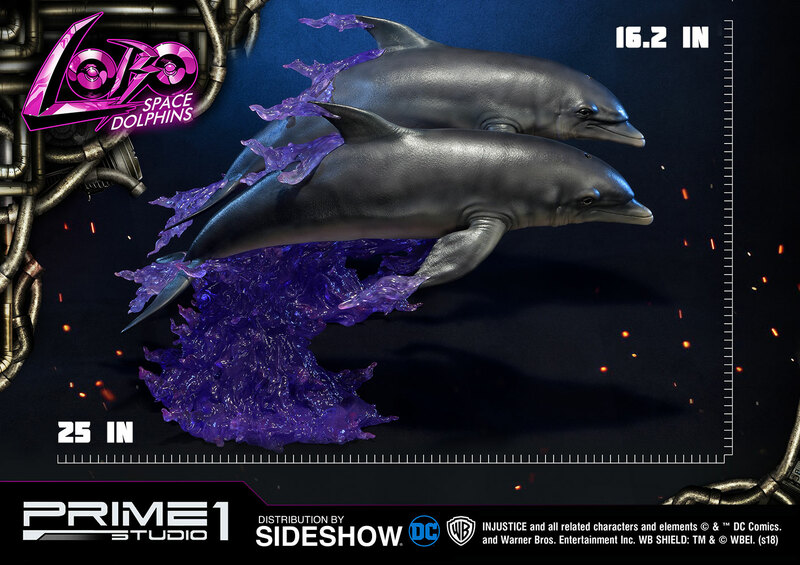 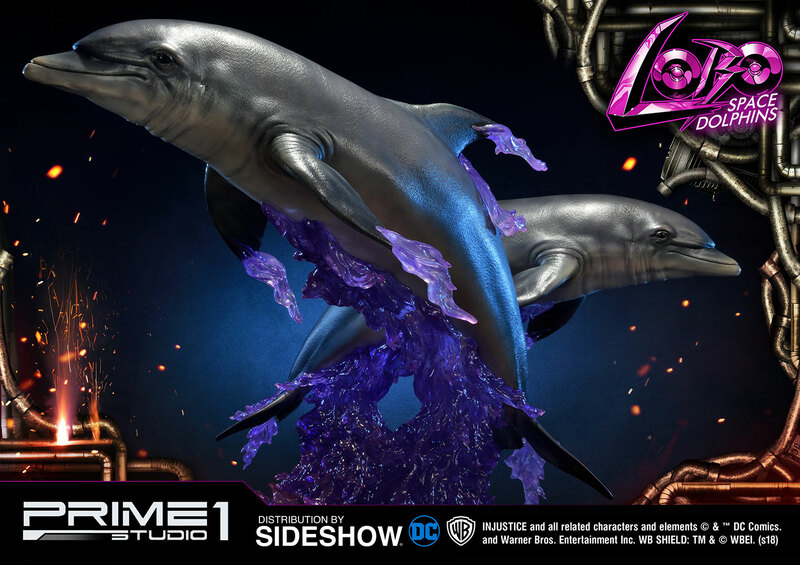 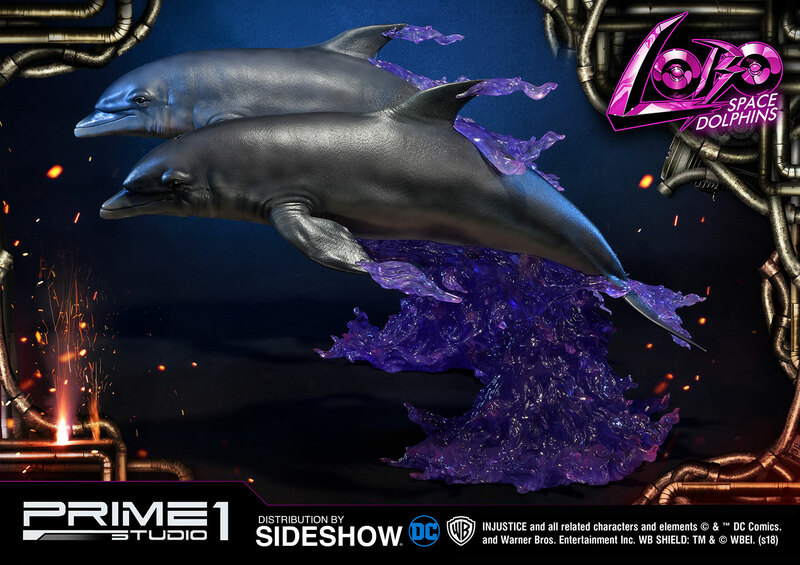 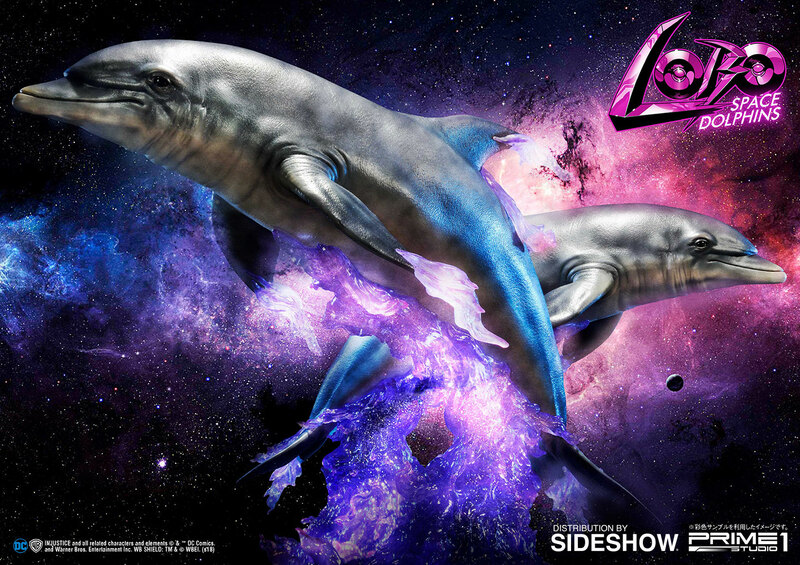 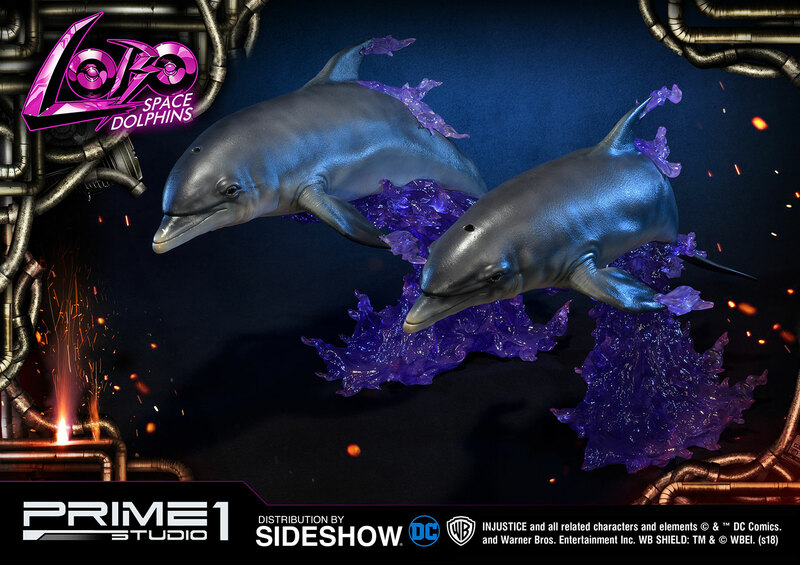 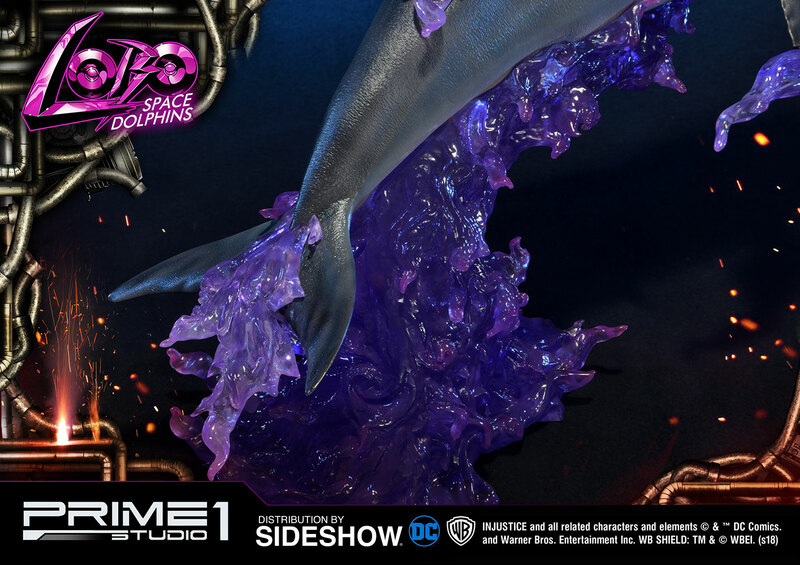 Sideshow and Prime 1 Studio are proud to present the Space Dolphins Statue from Injustice: Gods Among Us. 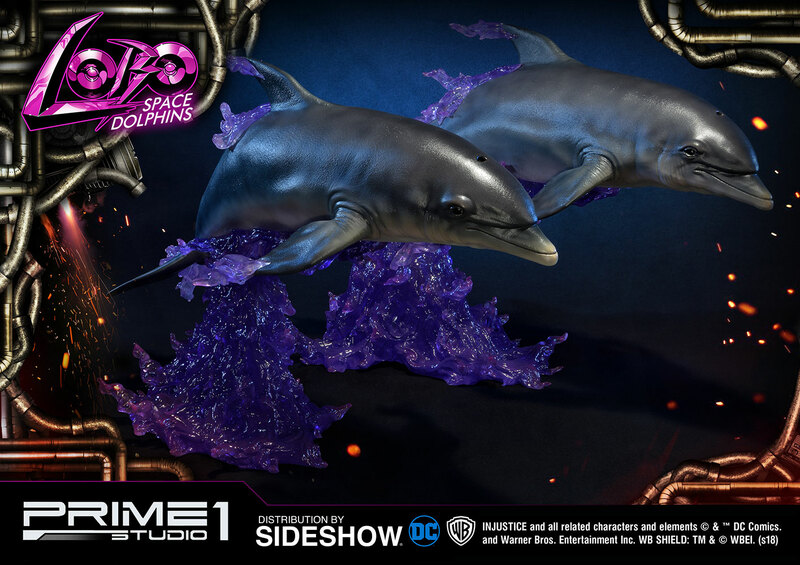 Injustice is an action fighting video game based on the DC Comics universe. 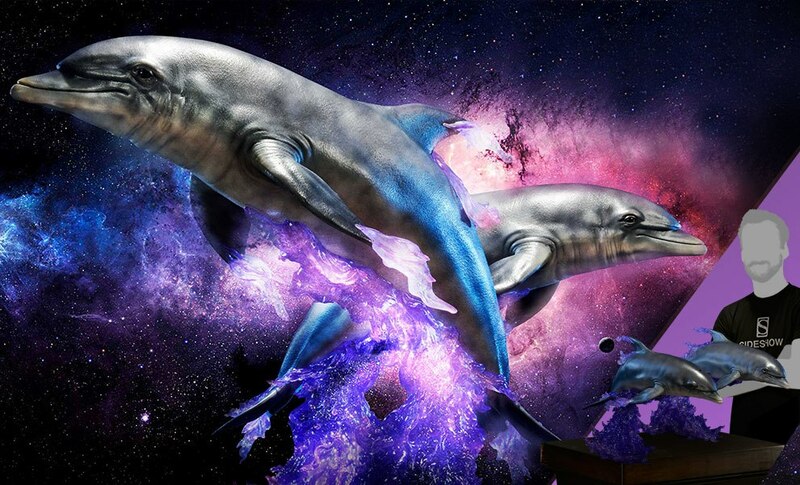 Space Dolphins are a mysterious species of celestial cetaceans who inhabit the vacuum of space. 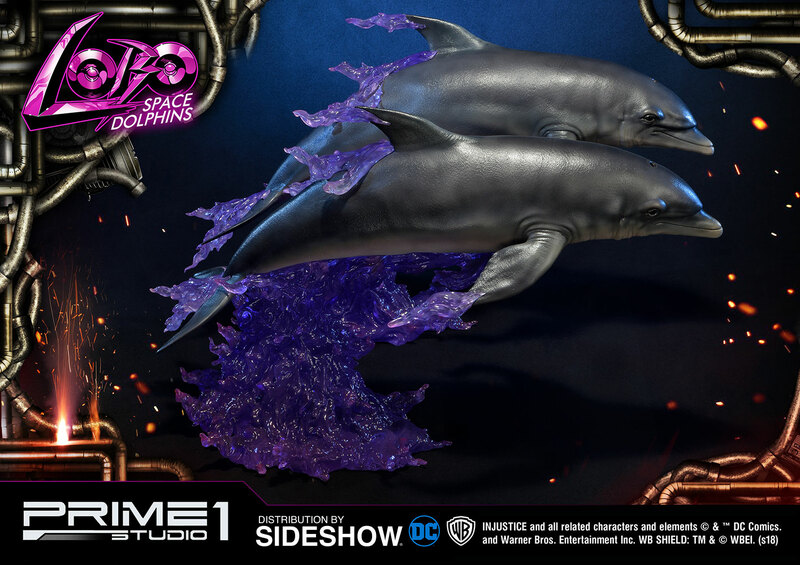 They are the one and only thing to provoke true feelings of love in the psychopathic bounty hunter Lobo. 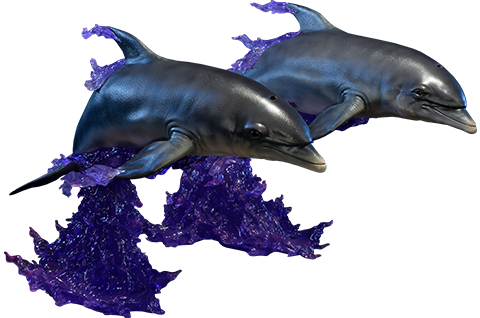 Spending time with them even cures his worst hangovers. 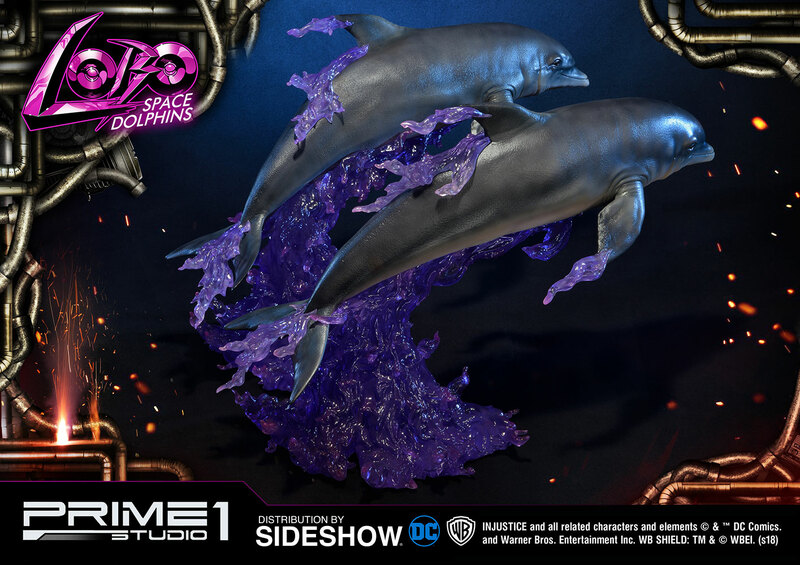 This set of Space Dolphins stands approximately 16 inches tall and complements the Lobo Statue from Prime 1 Studio perfectly.